In a previous post we established that the Megillah as it appeared in the Keter Aram Tzovah had both Parashiot Petuhot and Setumot. The same is true of the Leningrad Codex. Here is a facsimile copy of the first two pages of the Megillah as it appears in the original Leningrad Codex. You may "click" on all the following pictures in order to enlarge. As we all know our current custom is to write the Megillah in its entirety with closed parashot. When seeing the above, one must ask the question: How is it that such a change came about? I have no answers, but have decided to share a bit of my cursory investigation with you. The oldest documented text alluding to the writing of the Megillah with all of the parashot Setumot (as per our custom today) is from Maharam from Rothenburg who lived in the 1200's in Germany. Here is a printed copy of his halakhot for the Megillah. 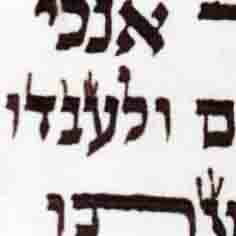 Does any one know if there is a manuscript copy of the Maharam's Halakhot or his Hagahot Maimoniyot? I'd like to see that instead of a printed copy as it appears in our current texts. For some reason, we always assume that writing the Megillah with parashot Setumot has always been our custom, especially in Ashkenaz. However, a cursory investigation of some of our more ancient documented sources reveals a different reality. One of the oldest manuscript copies of the Mahzor Vitry, written by R. Simha b. Shemuel of Vitry, a colleague of Rashi, in the 1100's documents for us the parashot as they should appear in the Megillah, in addition to other writing details. For some reason, I was not able to see this in more modern reproductions of the Mahzor. 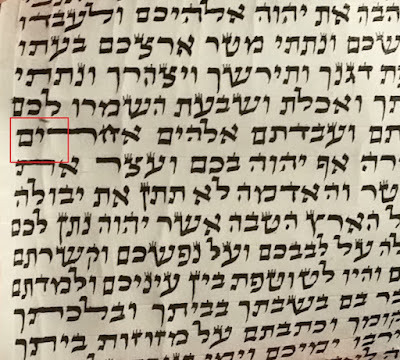 Because of the quality of the facsimile reproduction, it is hard to make out the above text, however I have highlighted to the best of my ability (in red) where the Mahzor Vitry instructs us to write certain Parashot as PETUCHOT. I also, tried to look into the Mahzor Worms, where Maharam lived, however, no such documentation appears there. I did however find the full text of the Megillah in the Mahzor Nuremberg. This Mahzor was written in the early 1300's about 30 years after the passing of the Maharam. In contrast to the Mahzor Vitry which documents the Western European tradition, the Mahzor Nuremberg documents that of Eastern Europe. I have pictures of the entire section of the Megillah but it is too voluminous to post on this forum. As we can see from the above, in Europe, the Megillah was also written with open and closed parashot and in consonance with the Tiberian tradition. What ever happened that led to a change needs to be further researched. Very nice post! My Chevrusa and I in the afternoon often exchange back and fourth everyday interesting halachos, shailos, etc (inside of the inyun we are learning.) Being osek a lot now in Hilchos Megillah I mentioned this halacha that the whole megillah is written with parshiot stumot. Today I will have more to mention! Seemingly does need some investigation. I have where to look on this, bli neder if I find anything I will post. The Darcei Moshe on hilchos mgila quotes the ashckenaz custom in name of Maharam. But notes that in Or Zarua there are mentioned parshiyot petuchot. See OZ inside this is also found in Ra'aviya. I looked it up 3 weeks ago. Ra'aviya was from Germany early 13ct. Also Orchot Chayim (mayorca 13-14ct) quotes pesuchos [he was probably spanish-provence, not ashkenaz]. I remember there where some differences between the OZ psuchos and those mentioned in Orchot Chayim, although three or four where the same. The Orchot Chayim - Rav Aharon HaKohen of Lunel was born in Narbonne (Provence)in 1280. He was a child of a prominent rabbinic family which came from Lunel (the same city which Rashi is from). He wandered for several years before settling in Majorca, Spain, (picked a nice island to live). His main work is Orchot Chayim, a compendium of the opinions of earlier codifiers on the laws of tefillah, Shabbat, holidays, marriage, divorce, and kashrut. Many of us are familiar with an abridged form of his work known as Kol-Bo which is attributed to him. There are others who claim that it may have preceded him. As such, the author of Kol-Bo remains unknown. 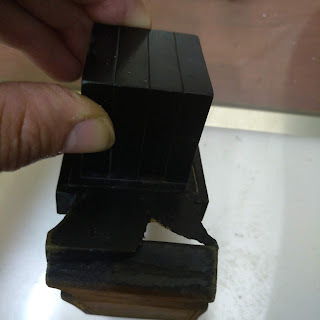 BTW this mesoret in name of Mahahram, I have seen several places is mentioned that he copied it from Rabenu Tam (12ct). See closely the text Alberto pictured in name of Mahahram. The division of the text into petuchah and setumah is an early method of delineating the macro and micro syntactical structures of book. The petuchah represents a major syntactical/ideological unit which is subdivided into subordinate sense units marked by the setumah. In the available manuscripts, the use of the petuchah and setumah sometimes vary widely with little indication of the reason for the difference. That the Aleppo codex varies from current scribal practice indicates either that the Masoretic understanding of the structure of the text is different from that currently perceived, or that our contemporary scribal tradition is based upon another ancient manuscript family. The Masoretic text of Tanakh represented by the Aleppo Codex differs in many subtle ways from the text printed in most chumashim. Interestingly, most of these variations are related to the punctuation (ta'amim), and hence again the structural organization of the text. There is a great deal of very interesting contemporary scholarship on this very issue. For a brief overview, I would recommend "the Masorah of the Biblia Hebraica Stuttgartensia", Kelley, Mynatt and Crawford, also "Studies in Scriptural Unit Division," Korper and Oesch. The second is much more in depth study of the issue.